TVS Motorcycles seems be on a roll with all-new launches. The Chennai based motorcycle manufacturer launched the all-new Ntorq 125 scooter yesterday and today they have showcased an all-new Zeppelin cruiser concept at the ongoing Auto Expo 2018. The all-new TVS Zeppelin Cruiser concept will be the first cruiser offering from TVS. 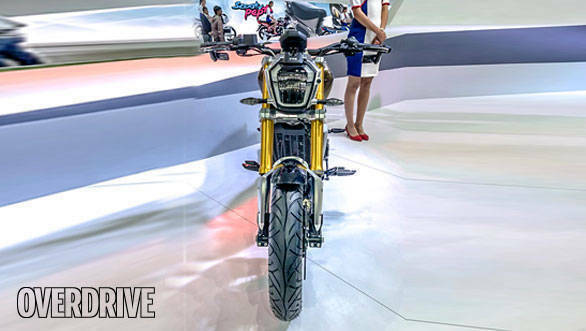 From the looks of it, the Zeppelin sports a similar power cruiser styling as seen on the Bajaj Dominar. The concept comes with a vertical LED headlamp, 41mm USD and a flat tracker styled handlebar. The instrumentation combines both digital as well as analog display showcasing the necessary trip and other details. The features list on the TVS Zeppelin cruiser concept also includes Bluetooth connectivity, HD Camera and also online connectivity. While the concept looks quite stunning and modern, the fuel tank has a retro design. The TVS Zeppelin cruise concept comes with Pirelli tyres and spoke rims. What makes the TVS Zeppelin unique is that it get belt drive. 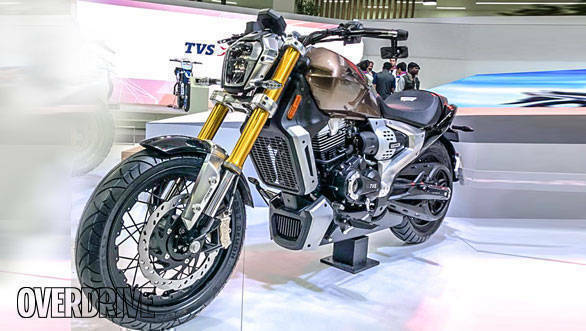 TVS states that the since belt drive offers a smoother and a more efficient performance, it is being considered for the production model as well. The all-new TVS Zeppelin Cruiser concept is powered by an all-new 220cc single-cylinder motor. TVS has confirmed to OVERDRIVE that the motor is a running prototype and not a mock unit that has been made for the concept version. Additionally, the cruiser concept will come equipped with a smart hybrid tech along with a 1.2kW assist motor with a 48V Li-ION battery that offers 20 per cent additional torque when needed. 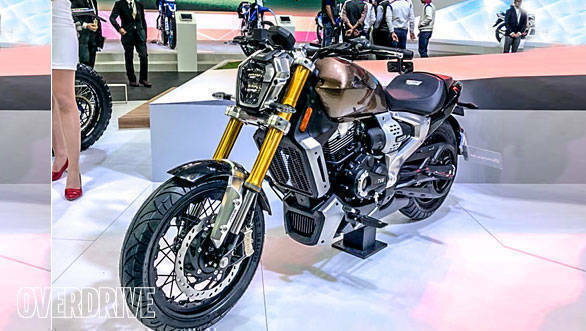 TVS has not spoken about the timeline as to when can we get to see the production version of the Zeppelin Cruiser concept but we believe it should take close to two years, similar to the TVS Apache RR 310.